Here we have a custom electrical set up on one of our customers G200QS JCB generators. It consists of 2 x 50Amp, 3 phase outlets and 2 x 63Amp 3 phase outlets, for a heavy mining application. All covered by individual RCD protection. 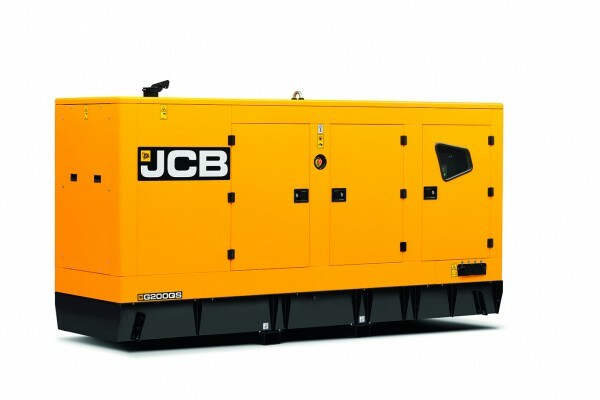 A JCB Generator For All Applications! We have recently supplied a JCB generator for back up power on a rural home. 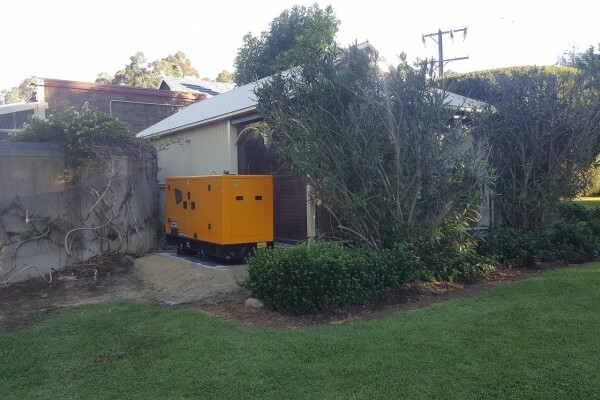 Our client needed reliable power in the event of an outage to power their home, pumps and fire fighting equipment. 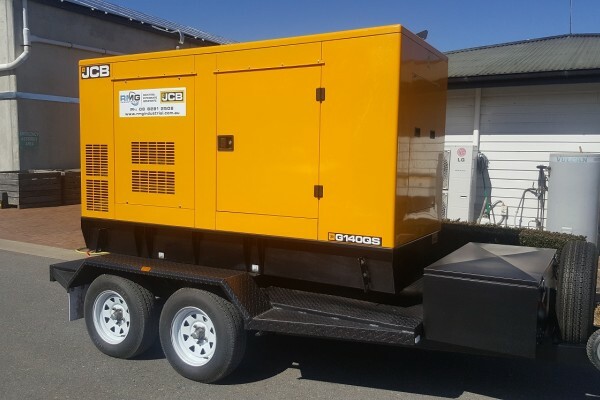 With it's small frame size, this 20kVA generator was the perfect fit. 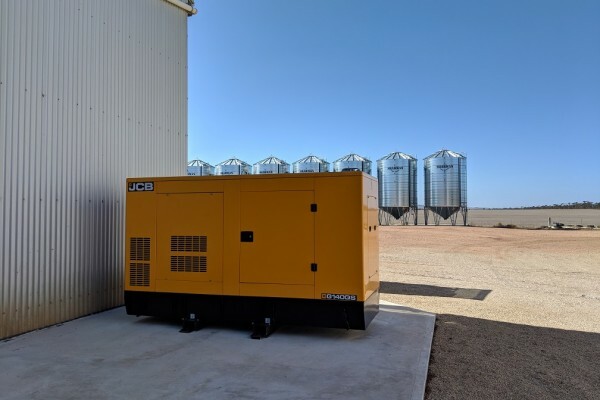 Recently we supplied and commissioned 2 x JCB G45QS diesel generators on a remote sheep station in central South Australia. The units were configured in single phase, to suit the shearing machinery and installed with 5000L bulk diesel tanks for extended run capabilities. We now have a range of quality used and Ex demo stock for sale, at reduced prices to clear. Check out our page for current specials! 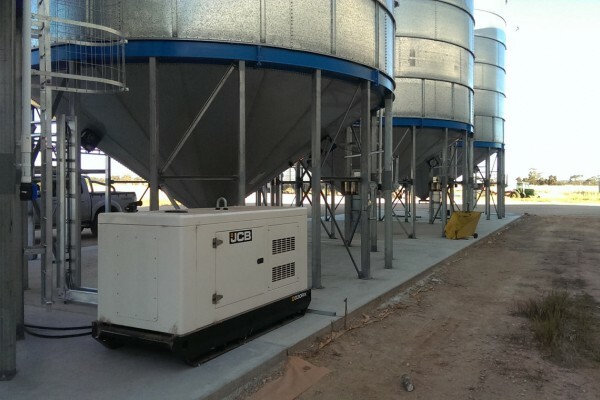 Here we have a JCB G140QS generator, powering a seed cleaning plant in rural South Australia. 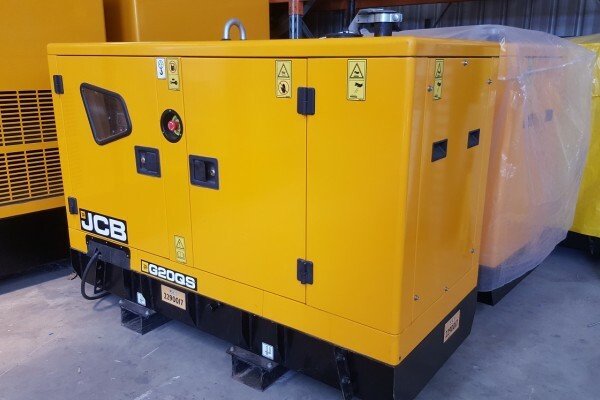 The client only had a single phase power supply on site, so it was a more cost effective solution to install a three phase, prime power, JCB generator rather than upgrade their existing service. 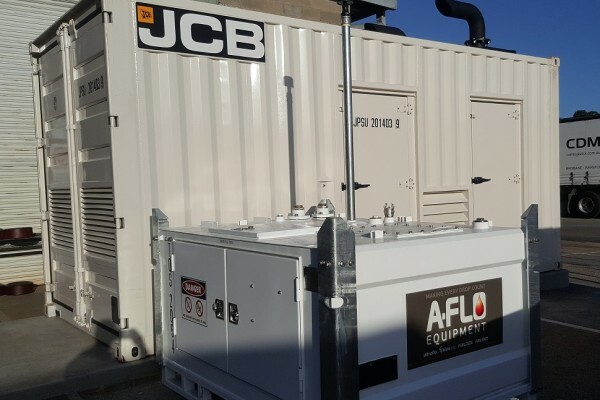 RMG Industrial have just supplied, installed and commissioned an 1100kVA, JCB containerised generator for a prominent cold store in Adelaide. The generator was supplied from the JCB, UK factory, in a purpose built, sound attenuated 20ft container. 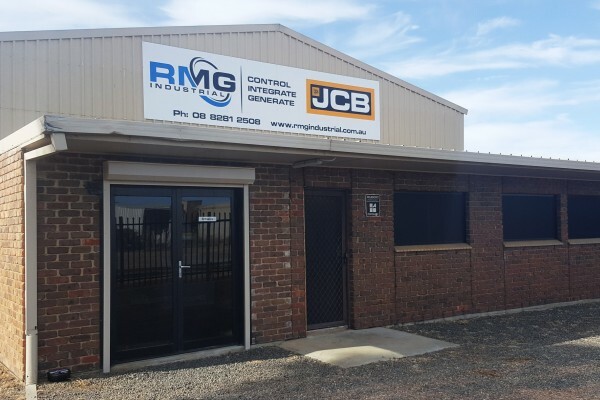 RMG Industrial are now at our new location. Come and see us at 1 Hatcher Court, Burton for all your generator sales, service and installation needs. 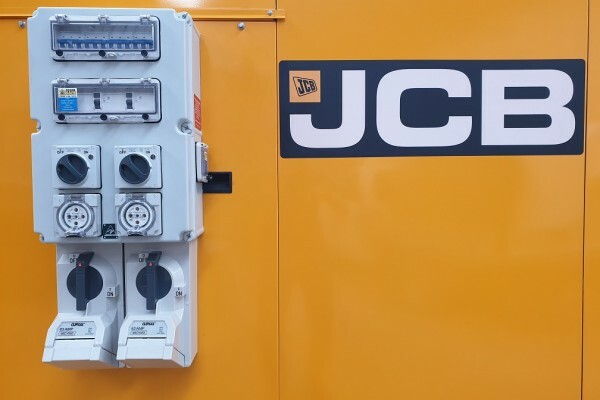 Reliable power supply is critical in the supermarket sector, as independent operator Klose’s Supermarkets proved after its new JCB QS generators saved produce and maintained operations in not one but three recent blackouts. A local farmer came to RMG Industrial, looking for a turn key solution for his silo aeration project. 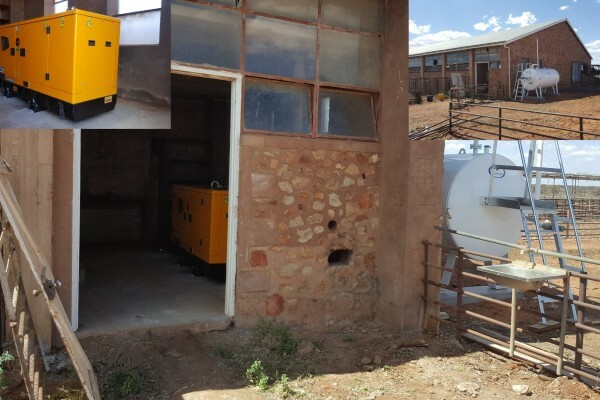 As there was no power on site, we were required to install a JCB G30RX generator, 1000lt bulk fuel tank, aeration control panel and wiring, solar battery charger and general power and lighting.